Marvel Preview: Spider-Gwen: Ghost-Spider (2018-) #5 – AiPT! In the aftermath of “Spider-Geddon”, Gwen is ready for her life to calm down — but when is life ever calm for a teenage super hero? 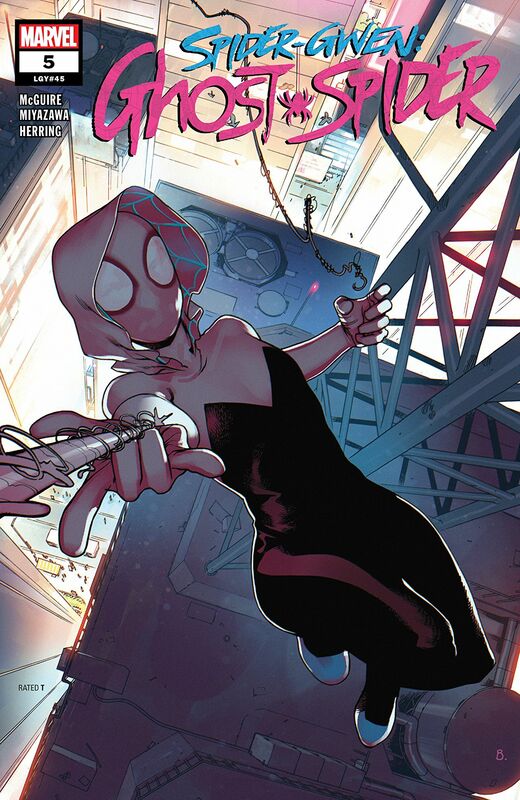 In the aftermath of “Spider-Geddon”, Gwen is ready for her life to calm down — but when is life ever calm for a teenage super hero? Mary Jane’s perfectionist vision for their band is driving Gwen crazy, while Gwen’s father is pressuring her to return to school. Add that to the daily trials and responsibility that come with being a web-slinging super hero, and you’ve got a recipe for a whole new era of radioactive adventure!